Perhaps the most iconic image from Disney’s Fantasia is Mickey Mouse conjuring an army of walking broomsticks. 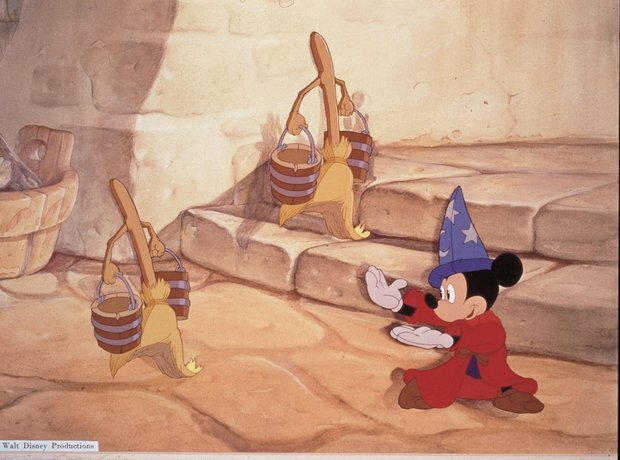 This sequence, set to Paul Dukas’ The Sorcerer’s Apprentice, was originally made as a stand-alone short film intended as a comeback role for the Mickey Mouse character who had declined in popularity. As production costs for the short grew higher than what it could earn, Walt Disney decided to include the short in a feature-length film with other segments set to classical pieces.